College management is comparatively very nice and help is all matters. There is some slow work occurs on some occasion but still, it is better than many others. 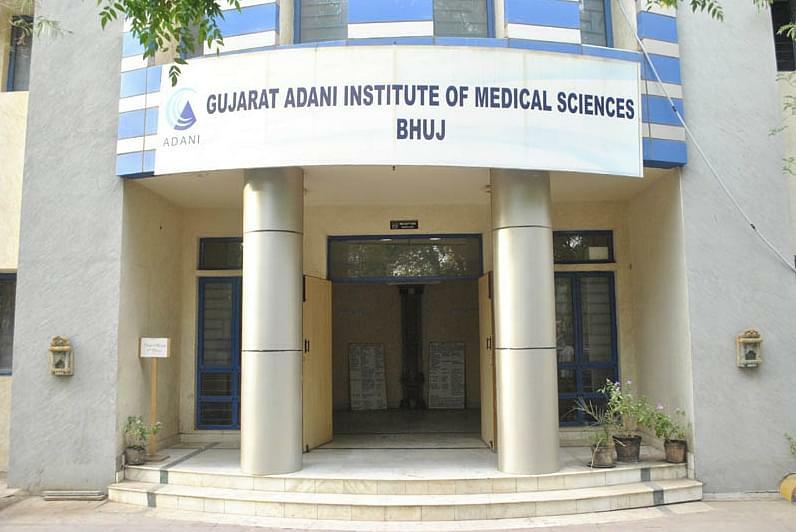 Gujarat Adani Institute of Medical Sciences is a distinctive Public Private Partnership (PPP) venture. To facilitate both the rural poor and the urban societies, Adani Education and Research Foundation joined hands with Government of Gujarat. The institute’s aim is to serve international standards of Medicare and health facilities at affordable and reasonable rates. For the very purpose, a 750 bed multi-specialty hospital has also been setup. Here, at Gujarat Adani Institute of Medical Sciences, we try to nurture and nourish our students with the knowledge and much-desired skills of serving humanity, independently in both urban and rural environment. The college staff believes in providing the finest quality medical education so that our students blossom out as well-trained professional doctors with divine spirits embedded in them. It is our responsibility and creditability to shape dynamic minds as disciplined, responsible and efficient doctors having high spirits and morale. The college teaches students in such a manner that they become ethical doctors who are capable enough to serve the mankind. Why to join Gujarat Adani Institute of Medical Sciences, Kutch, Gujarat? Educational Loan: To facilitate students with financial help, college administration has made the facility of educational loan available. Students who have taken admission to Gujarat Adani Institute of Medical Sciences can avail educational loans extended by Central Bank of India and The Kalupur Commercial Co-operative Bank Limited. Excellent Infrastructure: The College is equipped with the latest machines to train the students effectively. We have highly competent, and dedicated doctors and paramedics supported by such eminent facilities, the machines provide. Hostel fulfils all major requirements and has a well maintained healthy atmosphere for academic growth. Hi Priyanka, To get any information you may contact to 02832-246417. I am a resident of State Odisha and completed my 12th exam under CBSE in Odisha. Should I eligible for getting admission for MBBS in your college. My father is working at Jamnagar, Gujarat. First of all, requiregood marks in hsc for all students and special exam for all b science group of students that "GUJCET".min. mark require is 60% for take admission.i have get 85 mark out of 120 in GUJCET in 2010.